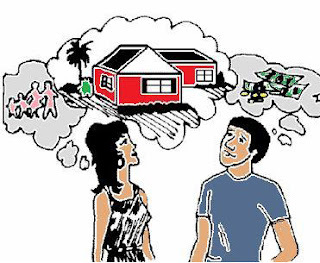 What is involved in buying a house? One thing guaranteed in life is change. Marriage, kids, divorce, job changes, empty nests, death. All these events can be highly emotional times which also prompt a move. When the time comes for you to move on, working with Kathy helps alleviate your stress level, so you can focus on packing. Buying a house takes more than finding “the” house. In fact, it takes a lot more. Finding a home is the easy part. All the steps necessary to be able to turn the key in your new front door can be stressful, to say the least. Below are the steps necessary to ensure you get your new house quickly at a fair price. Unless, you are paying with all cash, it’s imperative you get pre-approved for a mortgage loan. “Pre-qualified” is not the same. It is not as extensive and no guarantee. By being “pre-approved” it makes your offers stronger and will save you time and prevent disappointment. Your agent should have interviewed you to find out what you like, and don’t like, and then set you up to receive daily options of houses meeting your criteria. Some agents will call you when something really “hot” first comes on the market, or hears about it before it is even on the market! Further your agent and/or loan officer should be able to give you an idea of what your payments will be prior to looking at homes. Lastly, the better you know what you want, what you need, and what is optional, the smoother your search will go. Once you’ve found a house that meets your criteria, an offer must be written quickly. The offer is more than just price. Your agent will work with you to write the strongest offer while making the terms beneficial to you. Your agent might also suggest a “love letter” to make your offer stronger. In today’s digital world, most offers are simply emailed to the seller’s agent, yet some agents may even present your offer in person to the sellers and their agent to make it stand out against the competition in a bidding war scenario. Everything is negotiable in a real estate transaction and rarely is an offer accepted as presented. Price is only one of the many conditions that need to be agreeable to both parties. Having an experienced agent who fights for your best interests and outcome is crucial to your satisfaction with the purchase of the house. The devil is in the details. Although the paperwork is now digital, there’s still a ton of contracts, forms, amendments and other things that need to be completed accurately, by deadlines, and submitted to the correct parties to ensure a timely closing. In addition, during this time there are many contingencies to be waived, inspections to be done, and information to be gathered. Your agent should orchestrate all of this and keep you updated, so you don’t need to worry. Once inspections are complete, and all contingencies have been satisfied, your agent will let you know it’s time for you to start packing! This also means time to send out change of address notifications, set up utilities, etc. Your closing will involve signing many documents and should take no more than one hour. At the end, within a few hours to a few days, depending on the time of closing and the service provider/title company, you’ll receive the keys to your new home. When you work with Kathy, she makes the process as stress-free as possible and even…fun! Oh, and her fee? Zero. Nada. Zip. You pay nothing for her to represent you as a buyer*. *Commissions are split between seller/buyer agent brokers and portions then split with agents representing clients.